Growing up in the mid-west, Glenn spent a great deal of time outdoors and started fishing at the age of two with his family on the Mississippi River. In the off season, Glenn spent time on the ice not with fishing, but with hockey. He played five seasons as a goalie in Division III hockey with the Blue Devils and even today he still finds time now to coach for Prior Lake High School. His real passion was in fishing and in 2001, Glenn fished his first tournament and took first place. Although Glenn continues to fish tournaments on the Mississippi River, he also competes in regional events in KY, TN and OK. He indicated that his tournament season this year has been an interesting one and that he has had some exciting finishes. Having felt like he put the final puzzle pieces together, yet still getting edged out. 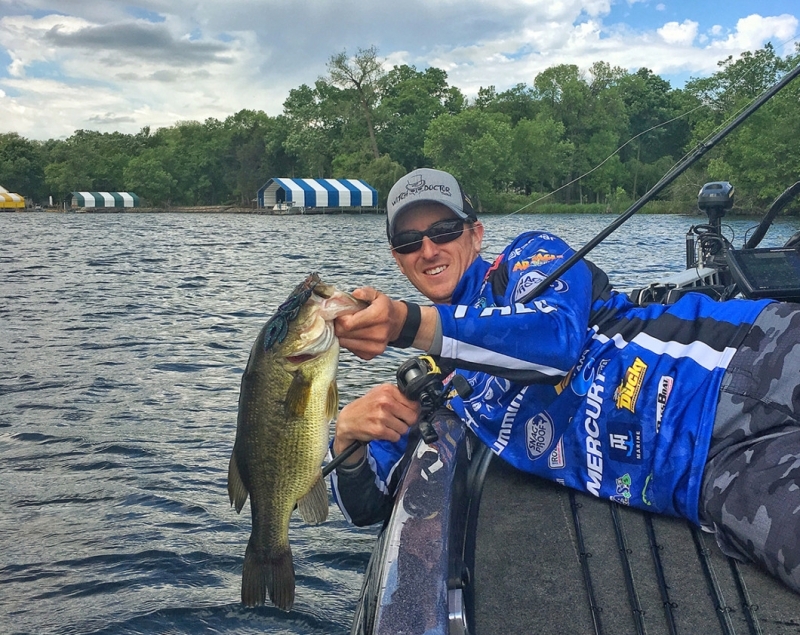 Glenn was invited to the Classic Bass Champions Tour, a catch all-record-release style tournament and he earned big bass honors. Glenn has been fishing the FLW T-H Marine Bass Fishing League events trying to qualify for the Regionals and has had some success so far mid-season. With a couple of more events still in the schedule, we hope to see Glenn finish the season within the top rankings.